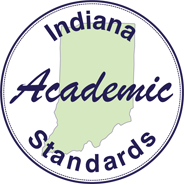 The Indiana Academic Standards for Physical Education 2017 specifically list the standards, benchmarks and outcomes for grades PreK – 12. They are presented by individual grades, in three groups; PK-5, 6-8, and High School. The Glossary provides definitions for some of the terms used in the physical education standards and grade-level outcomes. The words included in the glossary can be found throughout the standards document in bold print. Standards are to be fully implemented beginning in the 2018-2019 school year. For more information and resources for health educators, please join the IDOE - Health Educators Community on the Learning Connection. For more information and resources for physical education educators, please join the IDOE - Physical Education Community on the Learning Connection.